CCUK Introduces The Dark Tenor! CCUK has broken its 18 month silence to introduce a new super exciting artist from Germany. Check out our profile, play the video below to listen to one of his original songs (it's beautiful!) and be sure to get his album, Symphony of Light from Amazon or iTunes! She's topped the US Billboard's Classical and Dance Charts, has 220 millions views on Youtube, a sold out tour in Europe and has a second US tour just around the corner - Lindsey Stirling is taking the world by storm! We caught up with Lindsey on the UK leg of her tour - check out our interview! CCUK has created a chart of the ten most amazing videos in classical crossover - from the technically brilliant Lindsey Stirling (see left) to the hilarious Camilla Kerslake being drenched to Jackie Evancho presenting *that* voice to the world, each video is memorable in its own right. Check it out here! Simply put, Classical Crossover is a term used to describe artists that adopt strong classical influences in their music, but ultimately they have an accessible and popular sound or a marketable image to reach out to a wider audience. Due to it being a recent term and movement, it suffers from a lack of definition, with many people disagreeing as to what makes an artist Classical Crossover or not. It is important to understand that the word “crossover” in the term should not be taken literally (see What’s In A Name?) There is a distinct difference between “crossover” artists and “Classical Crossover” artists. “Crossover” is when an artist performs a certain type of music that is usually unpopular, but reaches a mass audience and achieves popularity. The best example of this is when Luciano Pavarotti performed ‘Nessun Dorma’ in 1990 for the FIFA World Cup. Opera was considered a type of music for the elite, and yet Pavarotti, a qualified and active opera singer, went on to become a massive commercial success. Thus he ‘crossed over’ into the popular realm despite the fact that he did not perform popular music. Classical Crossover did, indeed, take root from the Pavarotti situation in the sense that it made people realise that classical music could sell, but the Classical Crossover “sound” did not come from Pavorotti. Classical Crossover artists deliberately combine elements of pop music with classical. Converting classical pieces into pop songs e.g. Vivaldi’s “Winter” from his Four Seasons was adapted to ’River of Dreams’ for Hayley Westenra’s album Pure. Converting pop songs into classical pieces, this is usually done by turning original pop vocals into operatic vocals, changing English lyrics to another language (typically Italian) and/or given a classical arrangement. e.g. 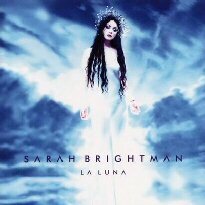 Sarah Brightman’s ‘Il Mio Cuore Va’, originally Celine Dion’s ‘My Heart Will Go On’. Introducing drum machines into classical pieces. This convention is most typical of instrumentalists such as Vanessa-Mae, Bond and Myleene Klass. Many singers in Classical Crossover attempt arias. They are always well known arias such as ‘Nessun Dorma’, ‘Un Bel Di Vedremo’, ‘Lascia Ch’io Pianga’, O Mio Babbino Caro’, ‘La Wally’, ‘O Sole Mio’, ‘The Flower Duet’, ‘The Pearl Fishers Duet’ and so on. Classical Crossover has developed its own standard repertoire, that is to say, a classical crossover artist originated a song, and then others covered it extensively. The most famous example is ’Time To Say Goodbye’ (Andrea Bocelli and Sarah Brightman) but there are others such as ‘You Raise Me Up’ (Secret Garden/Josh Groban), ‘Nella Fantasia’ (Sarah Brightman), ‘The Prayer’ (Andrea Bocelli) and ‘Where the Lost Ones Go’ (Sissel). Track lists consist mostly of cover songs in some form or other. It is rare for a Classical Crossover album to be mostly original, though most do contain at least one or two original songs. More aesthetic albums tend to have more. Typically, unlike their classical counterparts, these artists must appeal to a mass audience to survive in the music industry. As is the case with all mainstream music, image and marketing are very important. Some artists may only include one convention, others may need to adopt several. The key market are mothers and people over the age of fifty. The genre has a whole attracts more females than males. The artist is attractive and is sexualised to appeal to younger generations (e.g. Katherine Jenkins, Vanessa-Mae, Bond). The artist has a clean cut reputation to appeal to the older generations (e.g. Hayley Westenra, All Angels, Aled Jones). Artist is given hype and buzz words e.g. Russell Watson was marketed as ‘The Voice’, Charlotte Church ‘The Voice of Angel’ and Hayley Westenra ‘Pure’. Artists are under sixteen years of age to appeal to the older generations and invoke feelings of paternal affection. Artists are promoted on morning/daytime television which is typically watched by mum’s and the older generations. Classical Crossover albums tend to be released in the run up to Mother’s Day and Christmas, as they make ideal gifts for parents and grandparents. Many artists have a short shelf life due to the previous point. Unless the artist is especially established, they have difficulty selling out of the peak seasons. Artists are increasingly a result of reality talent shows (e.g. Paul Potts, Faryl Smith, Jonathan Ansell, Rhydian Roberts). Simon Cowell has taken a shine to Classical Crossover as a money spinner since his success with Il Divo. The UK and East Asia are the most effective launch pads. Some artists have such a huge following, that they can do whatever they want (Josh Groban, Sarah Brightman, Andrea Bocelli) and none of these marketing conventions deliberately apply to them. As with all genres, conventions overlap into different areas, but this is the rough guide as to what to expect from a Classical Crossover artist. All genres have conventions, but they also all contain artists that push boundaries and challenge conventions, so despite this guideline, do not assume that all Classical Crossover artists are merely products that adhere religiously to the above list. Even if they do follow the guidelines, they are good guidelines to make pleasing music! Which is the point of it all, of course. Would you like to submit an artist for inclusion on the website?